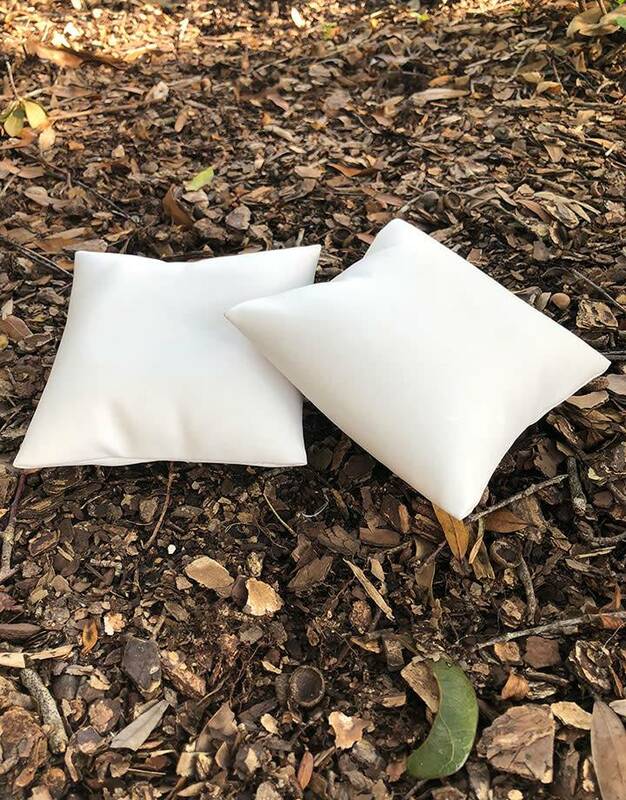 Home » DIS6110 = White Leatherette Pillow 2pk for Watches or Bracelets 5"x5"
DIS6110 = White Leatherette Pillow 2pk for Watches or Bracelets 5"x5"
These pillow jewelry displays can be used as bracelet displays, watch displays or pin or broach displays. You can pin charms or pendants on them or tie a ring on with ribbon. 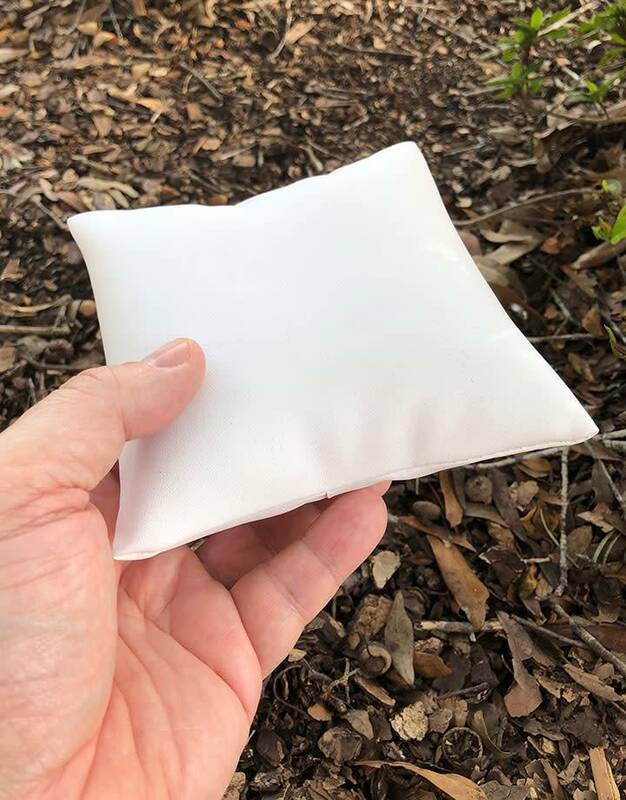 It measures 5"x5" and is puffed.